Catholic thinkers contributed extensively to philosophy during the Nineteenth Century. Besides pioneering the revivals of Augustinianism and Thomism, they also helped to initiate such philosophical movements as Romanticism, Traditionalism, Semi-Rationalism, Spiritualism, Ontologism, and Integralism. Unfortunately the exceptional diversity and profoundness of this epoch in Catholic thought has all too often been underappreciated. 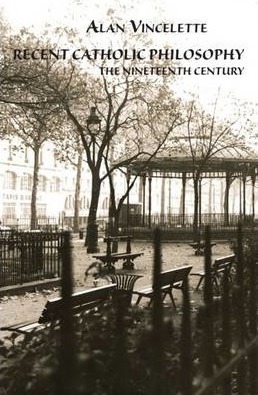 This book consequently traces the work of sixteen leading Catholic philosophers of the Nineteenth-Century so as to make evident their seminal offerings to philosophy, namely: Bautain, Blondel, Bonald, Brownson, Chateaubriand, Gratry, Gunther, Hermes, Kleutgen, Lequier, Mercier, Newman, Olle-Laprune, Schlegel, Ravaisson-Mollien, and Rosmini-Serbati.